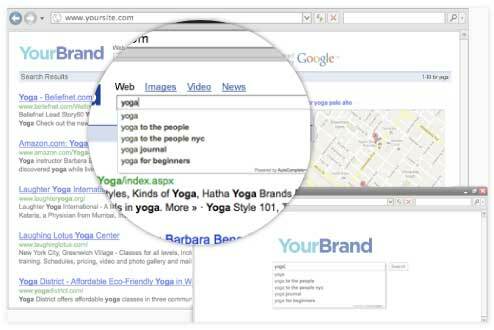 Get our feed into your web search property to engage your end-users with world-class search experience. It will significantly increase your search volume, RPM, and user loyalty. AutoComplete+ Global is a turnkey autocomplete feed for search publishers who are using a custom feed search (such as Google Custom Search, Bing, Yahoo, etc.). AutoComplete+ engages end-users, increases RPM, and enhances search volume. Using AutoComplete+ feed, publishers can expect to increase their RPM by more than 12%, and their search volume by 10% and more - while providing better end-user experience. Designed for web scale, it is a lighting-fast feed that integrates easily into your search page or toolbar search box. We strive to have a constantly updated terms database of hundreds of millions of terms. Our current cloud-based distributed database contains hundreds of millions of terms (as of April 2012). We constantly expand and optimize our database. Our officially supported languages include all the major popular language including: English, German, Italian, French, Spanish, Dutch, Portuguese, Russian, Japanese, Polish. Our roadmap includes expanding support for additional languages. We deploy a number of algorithms to present users the most appropriate suggestions: keyword popularity, emerging internet search, keyword similarity, typo corrections and locale-specific languages are some of our patent-pending technologies. We're proud to be using the latest state of the art hosting solution with over 99.95% of up time. Our service scales over hundreds of server nodes on demand to eliminate a single point of failure. As of December 2011 we power over a billion searches per month. We live and breathe search portals and can cater to your testing needs easily with A/B testing or any other measure to ensure your success. We'll be glad to let you experience the benefits for yourself - just sign up and we'll set you up. Suggested autocomplete results are directly relevant to the text entered by the end-user. Suggested autocomplete results exclude pornographic terms. Suggested autocomplete results are automatically generated by an algorithm that is designed primarily to suggest the most relevant search queries and not designed primarily to generate ads that yield the highest revenues. Suggested autocomplete results are specifically selected by the end-user before submitting.